We just love volleyball players—their killer abs, their legs-for-daaays, their charming smiles whenever their service lands right on the line. We enjoy seeing them train, and we love seeing them on and off court—especially if she happens to be one of the sexiest and greatest volleyball players of today’s generation, Alyssa Valdez. This morena stunner is definitely heaven’s gift not just to Atenistas (hello, two-year championship reign) but also to fans and friends beyond her alma mater. Not only is she beautiful, she also has tons of awards under her belt, which is why this volleybelle certainly deserves a spot on FHM’s 100 Sexiest list. Mr. Ravena, we challenge you to a game of one-on-one for the rights to date Alyssa. Or not. But don't you break her heart, good sir! 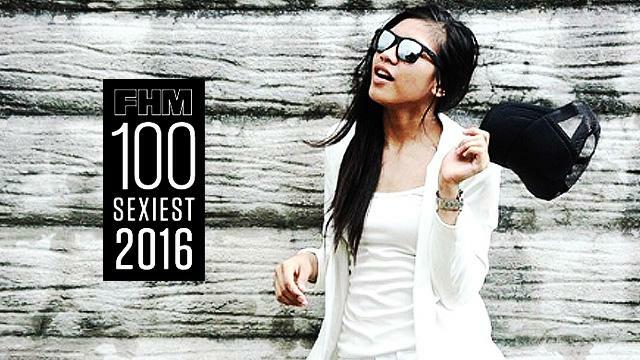 Do you also think Alyssa deserves a spot on this year's FHM 100 Sexiest list? Of course, you do! Click here to vote for her now!